Did you know that one of the country's oldest dispensaries is located in Arcata? HPRC opened in 1999 and has been serving Humboldt ever since. Walking down Arcata's Sixth Street, it's easy to stroll past HPRC. With its simple, dark wood and frosted glass exterior and no obvious signage, who could blame you for having to double back? But that understated façade belies the cannabis cornucopia within. You are greeted at the door by a friendly security guard, where you are asked to present your ID. 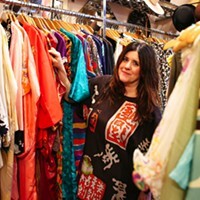 You then have freedom to peruse the plethora of products available to you in the compact, intimate storefront. 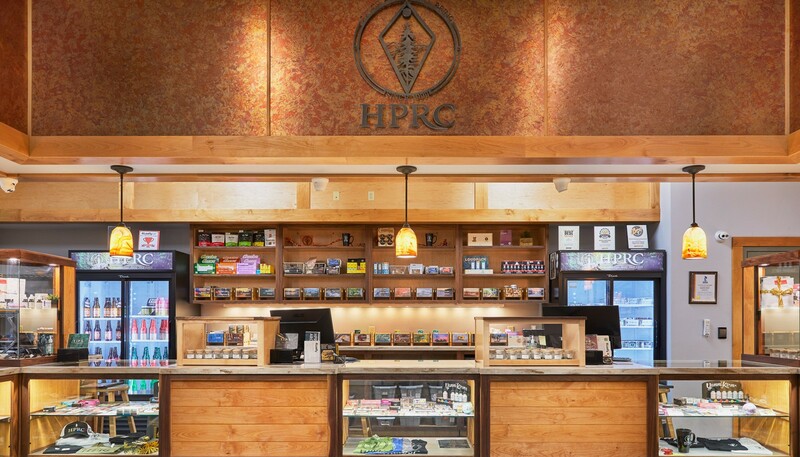 HPRC sells every cannabis-related product you could imagine and then some. Bud, oils, HPRC clothing, candies, tinctures, beverages, lollipops, clones, seeds, bath bombs and pet medicine — even dip pouches for all the baseball players and cowboys out there. What's more, HPRC grows its own cannabis. Many of HPRC's flower and concentrate strains are grown at HPRC facilities. "We have a zero-tolerance policy toward pesticides in our products," general manager Brian Willkomm says. "We've dedicated ourselves to that because we believe recreational and medical customers deserve the same quality care." HPRC focuses on health and wellness. "Our goal is to go beyond cannabis and provide you with the highest quality dispensary experience possible and help you cultivate wellbeing in your life" its website reads. Every "budtender" who works there has completed a cannabis nursing program to better understand the relationship between the plant and our bodies. The company has also recently opened The Connection, its Eureka community center, which offers free meditation, yoga and tai chi classes Monday through Friday. A second dispensary location will be opening soon, as well. 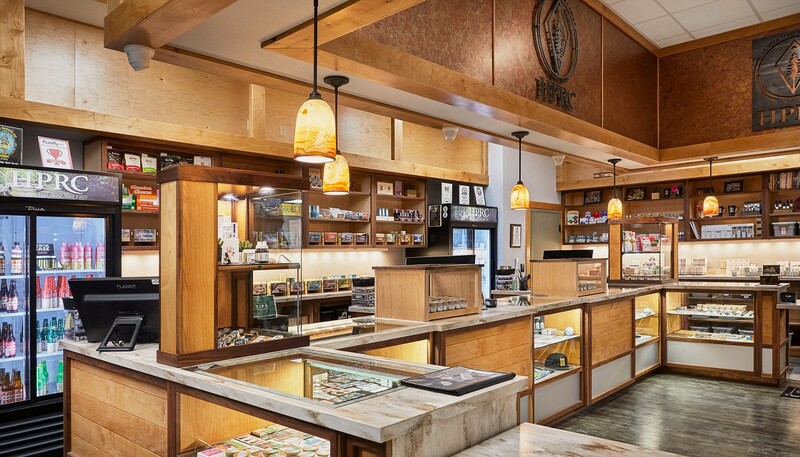 Situated in the heart of Old Town, next to Because Coffee (300 F St., Eureka), is EcoCann — the only Humboldt dispensary to be up and running on January 1, 2018, the day cannabis became legal for recreational use in California. EcoCann goes for a high-end boutique vibe. The store interior is clean and modern, and its streamlined stock is displayed in backlit glass cases. 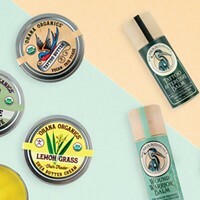 Products are displayed according to type, with cannabis flower and other less processed offerings on one side and concentrates, oils and edibles on the other. Large television screens hang on the wall behind the product cases, displaying prices. No fewer than two fluffy, half-grown dogs lounge in the storefront during business hours. 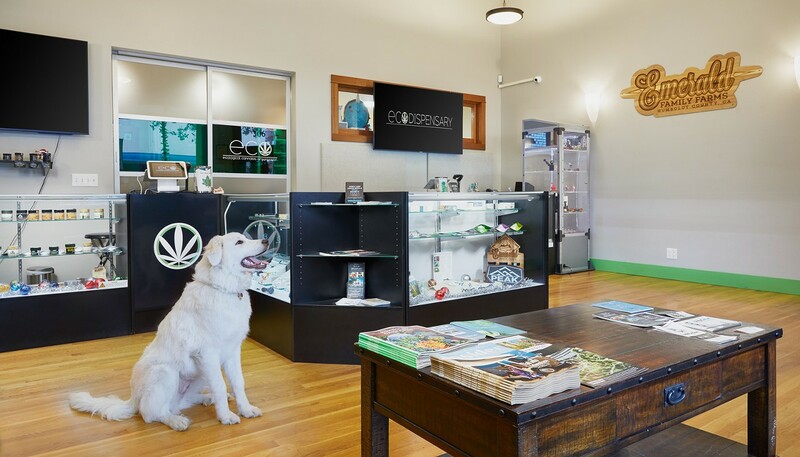 The owner, Ray Markland, takes pride in EcoCann's dog-friendly atmosphere. "We're Humboldt's first dog-spensary," he joked. "Our goal is to make [EcoCann] as 'acceptable' and accessible as possible to the community. So, it's really well lit in here, everything is clean and bright. We want to try and subvert the idea of a dispensary as a grungy headshop," Markland continued. And subvert it does. EcoCann feels more like an airport Chanel than a place you buy weed. The front door is locked. Only the strapping, well-dressed security guard can let you in. He then scans your driver's license or ID and, if it's your first time, takes some basic info like phone number and email address. From there, you are welcome to lounge or shop as you see fit. Plop down on the couch and peruse the bevy of cannabis-related literature on the accompanying coffee table, scan the wall posters and learn about the magic of terpenes, or head straight for the goods and procure some Humboldt-grown cannabis. Almost all of EcoCann's stock is locally sourced, according to Markland. The only exceptions are some beverages and edibles. "I'd only sell Humboldt products if I could," Markland said. EcoCann also offers a delivery program. 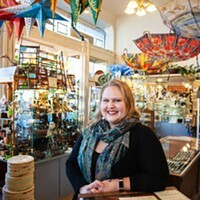 Between McKinleyville and Fortuna, staff will drop your order right in your hands. No fee, just a minimum purchase amount depending on location ($80 McKinleyville). There are discounts for seniors, military folks and anyone who works or lives in Old Town.